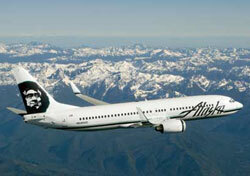 Alaska Airlines is offering a 30 percent discount from a different city every day for two weeks. The carrier will announce each city at midnight. The first city will be announced midnight tonight on Alaska‘s website and the last will be unveiled April 27. Tickets must be booked seven days in advance, and travel is valid through June 19. It seems like seats will be limited, so either stay up late or check first thing in the morning if you’re interested. Fares will cover domestic travel (excluding Hawaii), Canada, and Mexico.